When I was six, my favourite present was a shiny fridge magnet with bright purple aubergines on it. It took me years to figure out what on earth they were. I wasn’t slow, it’s just as at that point in time you hardly saw them on English shores. 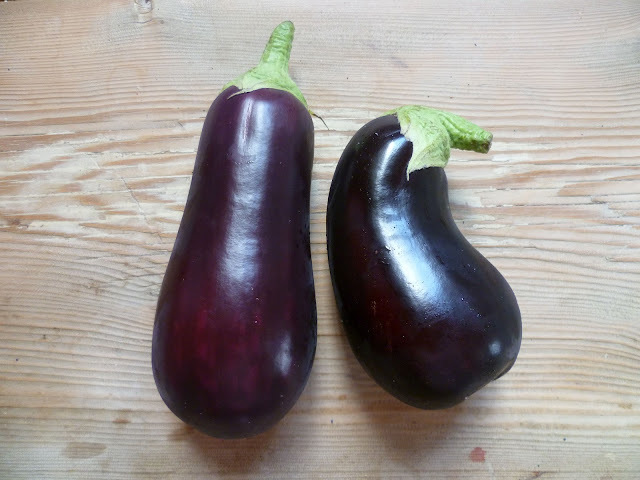 Last week though, a few decades later, I bought aubergines that had been grown just down the road. You could tell too. They were in perfect condition, with their violet skins gleaming like newly polished cars. In my view the aubergine, or eggplant as you say in the States, is one of the best vegetables to create a main course around. When treated well, they give you a soft yet satisfyingly chewy texture, which means they can stand the bold flavours of the Mediterranean, India, the Middle East, Arabia and the Far East. No surprise then that these are the lands from where some of the best aubergine recipes hail. In a creative moment this weekend, I decided to test out a couple of aubergine dishes, of which there are hundreds, to make the most of the Autumn harvest. 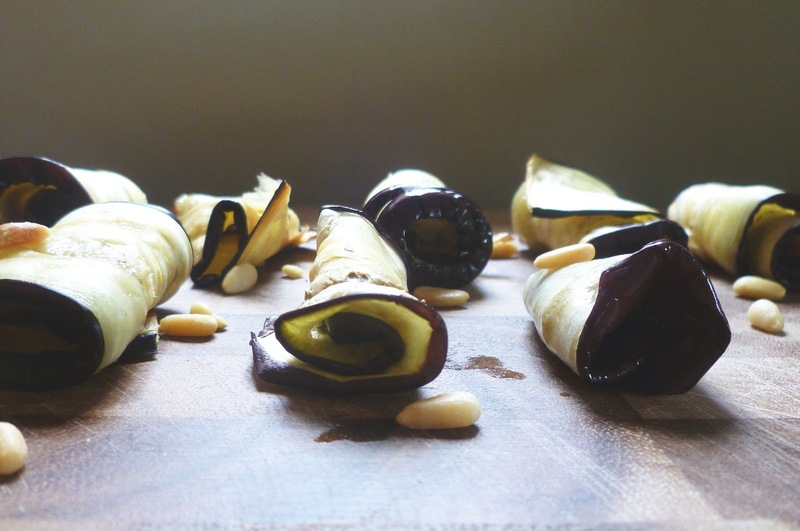 There’s something reassuringly seventies sounding about ‘aubergine rolls’. To me the name conjures up nostalgic images of disco balls, platform shoes and John Travolta in a white flared suit. On the contrary, these are actually a thoroughly modern affair. Served as a canapé or antipasti, they are simple to make, great to prepare ahead and your guests will presume you’ve been slaving over them for hours. You can fill them either with a sliver of parma ham, mozzarella, ricotta or sun dried tomato. Chargrilled and peeled red pepper or even an anchovy fillet would work too. They’re just as good on their own as long as you’ve seasoned them well. 1. Slice the aubergines lengthways and thinly. Not too thinly mind you, I tried to be clever by slicing them super slim and ended up with aubergine mush on my grill pan. About 5-6mm should do the trick. 2. Lay out your slices onto the bottom of a grill pan (baking tray) and drizzle over a little olive oil, salt and pepper. Add to a medium oven (about 160degrees) and cook until they become slightly transparent in the middle. Remove from the oven and allow to cool slightly before scraping them out and rolling them individually. If you feel they need a little more cooking, pop them back in the oven for 10 minutes or until they taste good to eat. 3. Once cooled completely, choose your filling, if any and re roll. Look good served on wood, as per the pic above. 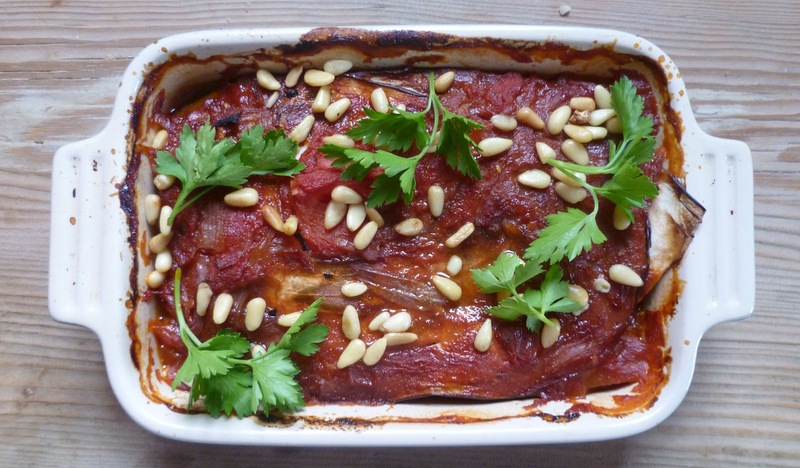 This is a vegetarian and dairy free take on Greece’s ‘Moussaka’ and Italy’s ‘Melanzane Parmigiana’. It’s a very simple dish to make once you master the sauces. The fact that each step is basic shouldn’t distract you at all from the resulting deliciousness that emerges, oozing and bubbling, from the oven. Tastes even better the day after. For the tomato sauce, an Italian style one using herbs like thyme, basil and oregano works well. Or you could try a spiced one using tomatoes, onion, cumin and a dash of lemon juice. Both are good. Both Moussaka and Melanzane Parmigiana use a béchamel type sauce, so I’ve included the recipe for an excellent basic one here. 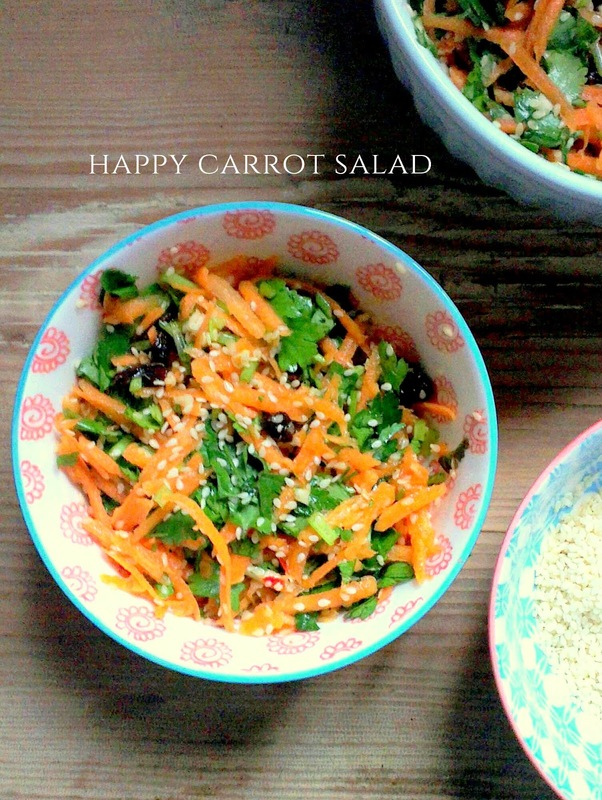 I didn’t use it this time as was looking to create a dairy free option. The end result was still delicious but if you’re a dairy stalwart, feel free to layer up the béchamel in the dish too. The recipes includes a dairy/gluten free one too. A good white sauce takes a little practice but once you’ve mastered it you can go on to make so many other dishes. From lasagne to macaroni cheese, pasta bakes to pie fillings, you’ll never look back. Meat eaters: Try adding a cooked sausage or cooked minced lamb to the bottom layers for extra chew factor. A pinch sugar if it’s needed at the end of cooking. 50g mature cheddar, or parmesan, ideally grated or cut into small chunks (or for dairy free omit this and just use the last ingredients to flavour the sauce). Peel and chop the garlic finely. Fry gently in a little of the olive oil, then add the tomatoes and bring to a gentle simmer over a low hear. It should take 10-15 minutes to reduce your sauce. Add your herbs at the end of cooking, season with salt, pepper and more olive oil and a pinch of sugar if you need to. Melt the butter or place the oil in a saucepan on a medium heat. Add the flour and beat with a wooden spoon until all the fat has absorbed into it. Add the cheese and the mustard and mix in. On the heat, start to add the milk bit by bit until it’s absorbed into the butter/oil and flour. You’ll need to continue to beat the mixture with the wooden spoon until the flour is cooked through (you can smell it) and you get a consistency of thick, shop bought custard. If it becomes too thick, add more milk as you go along. 3.Slice the aubergines lengthways. As you would with a lasagne, oil the dish around the sides especially. Start to layer up the tomato sauce, then the aubergines, salt and pepper for each layer of veg, then the white sauce if using, then more tomato sauce and so on until you fill the dish. On the top, add a good slug of olive oil and once finished you can add toasted pine nuts and fresh herbs to garnish. Bake in a medium oven (about 180 degrees) for about 30-40mins. If you'd like some extra texture you can make gluten free breadcrumbs and fry them off with herbs and salt and pepper to sprinkle on top. Enjoy with a good glass of red wine.